The Children and Families Bill (2013) outlines the government’s plans to require local authorities to publish information on services and provision across education, health and social care for children and young people aged 0 – 25 with special educational needs and disabilities (SEND). The purpose of a local offer is to enable parents and carers to see more clearly what services are available for children with SEND in their area and how to access them. The process extends to early years settings and all the information below forms our local offer and shows how we have, for many years, provided for children with special educational needs and disabilities. At Holly House we are committed to the inclusion of all children. All children have the right to be cared for and educated to achieve the best possible outcomes, to share opportunities and experiences and develop and learn alongside their peers. We provide a positive and welcoming environment where children are supported according to their individual needs. How does Holly House know if children need extra help and what should I do if I think my child may have special education needs or disabilities? At Holly House every child is treated as a unique individual and each child has a key person. Their role is to develop trusting sensitive relationships with parents and children to enable respectful sharing of information. If you have any concerns about your child’s development you can ask for a time when you can discuss this in private with them. Alternatively, you can discuss this in private with the SENCO (Special Educational Needs Co-ordinator) – Sarah Hashemi. Reports from health care professionals, such as health visitors and speech and language therapists identify your child’s individual needs. We welcome parents and professionals sharing these reports in order to plan appropriately to meet these needs. Ongoing observational assessments are made of all children and are linked to the Development Matters ages and stages of development – This in some cases identifies individual needs. If your child’s key person has identified a possible individual need, they will discuss it with you in private, and plan together with you to support your child’s learning and development. Jade will offer support and advice to your child’s key person and other staff in our setting. She will also liaise with other professionals to seek advice and support in identifying individual needs if necessary. Support and advice can be sought from the Leeds Inclusion Support Team with your permission. Every child at Holly House Nursery has a key person. On starting at Nursery you will be given an ’All about Me’ sheet to fill in about your child. This will help us to share information about your child’s strengths and needs. We will work with you to support your child together, listening to you and your child. Jade will explain how children’s individual needs can be met by planning support using an Individual Education Plan (IEP) and advice the Leeds Inclusion Support Service. Jade can explain who may be involved and their roles. Observations, assessments and evaluations all contribute towards IEP’S and your child’s key person would oversee the targets on the IEP. Your child’s key person will be in most sessions your child attends, fostering a relationship with and understanding your child. We will work in partnership with you, reviewing the IEP targets, planning new ones together and giving you ideas to use at home to support your child. We promote an ‘open door’ policy to ensure we are welcoming and respectful to all. Your child will have an IEP (individual Education Plan) made for them by the SENCO and key person based on the child’s needs. They will also have a ‘Tracker’ which shows their development within each area of learning. In addition each child has a Learning Book which contains observations, individual plans, targets, photographs and videos of your child’s progress and development. You can access your child’s learning book & tracker at any time. We will endeavour to involve your child, enabling them to make choices and engage in activities/experiences that are of interest to them. Through ongoing observations and knowing your child, we will have a clear understanding of what your child likes and the level of their involvement. We will create support within the environment, such as the use of a visual timetable to support the child to understand the routine as appropriate. The SENCO will aim to seek additional training for staff, if appropriate, to meet your child’s needs. Assessment systems are in place such as the 2 year progress check, trackers and learning journey which are all linked to the Early Years Foundation Stage (EYFS) ages and stages of development. Every key person plans for their weekly activities based on the individual child’s targets and needs – this can be discussed informally at nursery. Regular review meetings are held to discuss the child’s IEP targets and how the parent can support their child at home. 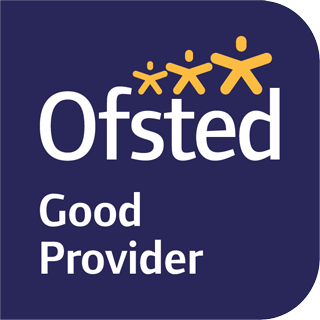 Our open door policy means you are always welcome to tell us how your child is doing on a daily basis and provide ongoing two way communication between us. If parents/carers work or are unable to attend with their child, telephone calls or emails are welcome to update you on your child’s progress. Our practitioners are welcoming and friendly, providing an inclusive, sensitive and positive approach. Practitioners provide good role models for positive behaviour and are consistent in the day-to-day care of all our children. Should your child display unwanted behaviour we will work with you and your child to provide a consistent and planned approach (Individual Behaviour Plan) to improve behaviour. Personal health care plans can be adopted if necessary and staff will be trained in giving the appropriate medication for your child if required. Should your child require regular prescribed medication then a named member of staff will be responsible for the administering of this and you will be required to fill out and sign a ‘long term medication’ form. Activities will be adapted to ensure your child is able to interact fully with their environment, and visual strategies-such as a visual time table can be used to help them understand our routines. Activities will be adapted to ensure your child is able to interact fully with their environment and visual strategies, such as the ‘now and next’ board to help them to understand our routines. Flash cards are also available for your child to express how they are feeling about a particular activity/event. What specialist services and expertise are available at, or accessed by, Holly House Nursery? All staff have accessed child development training and have experience working with the Early Years age group. We will work alongside the specialist services involved with your child and they are welcome to visit the nursery. Working closely with you and your child will enable us to build stronger relationships and understand your support needs better. We are supported by the Leeds Inclusion Support Service who aim to help Early Years and Childcare practitioners provide the best possible experience for all children in our setting. The team will support practitioners in meeting children’s individual needs through offering phone advice, observing individual children in their setting, suggesting ways to support individual needs, planning next steps with practitioners and parents and sign-posting to training. Our SENCO attends termly network meetings to keep up to date with the latest information and news. Our SENCO – Jade Elmslie attends termly network meetings to keep up to date with the latest information and news. All staff regularly attend training. A record of staff training is kept on file. Staff training records are held on file and relevant training can be viewed on request. How will my child be included in activities outside Holly House Nursery? All children are welcome to attend trips. We will endeavour to include parents/ carers in the planning of the visit to identify the needs of your child. If necessary, we can prepare a photo book for your child so they know what to expect on the visit, and invite all parents to join us on our trip. We would also take along any aids or medication – along with consent forms, that your child may need. All visits or trips would be planned to include all of our children. How accessible is Holly House Nurseries environment (indoors and outdoors)? If you are a parent/carer who has English as an additional language, we can arrange to get another family member involved who may speak English. Our doors leading out to the garden are wide enough to accommodate a wheelchair . The garden is raised and can be accessed via a gate at the top of a drive or a ramp at the bottom of the garden. All children can access the garden. Signs, posters and pictures can be translated or use dual languages. Visual cues will be used to support understanding. We can explain the limitations of the building and would make adaptations to existing resources to ensure all children can access them, if possible. How will Holly House Nursery prepare and support my child to join the nursery or transfer to a new setting/school? We will assign a key person before your child joins us for his/her settling in sessions. We also offer 3 free settling in sessions where you can stay for part of the session, and offer a flexible settling in period, if your child is having difficulties settling in. We can provide a photo book for your child to have at home to become familiar with their key person, the routine of the session and activities being offered. We will meet with other professionals, Team around Child or Multi-Disciplinary meeting e.g. health care professionals to put in place transition planning/health care plan, or to seek relevant training before your child starts. If your child should attend another setting whilst with us or leave to go to another setting we would invite your child’s new key person/teacher and SENCO to attend sessions with your child to help them become familiar with them and to discuss your child’s strengths and needs. We will hold a transition meeting at your convenience, to plan transition for your child into their new setting or school, giving the new setting time to make necessary plans for any changes they may need to make, sharing targets on your child’s IEP’s, and minutes of review meetings along with any other information that may be relevant to your child. It may also be possible to arrange for your child’s key person to attend settling in sessions at your child’s new setting with them, to help promote a smooth transition. All necessary documentation will be passed onto the receiving setting/school. The trackers and learning journeys will be passed onto the parents. Through the observation process linked to the EYFS ages and stages of development, and in discussion with you, the key person and the SENCO will identify what support is required. Extra support will be put in place if necessary with the aim of enabling your child to become independent within the environment. Ongoing partnerships with you, other professionals and ourselves will support the discussion making process. Our SENCO will give advice on meeting your child’s needs within the nursery in consultation with you and other professionals where necessary with your permission. Our SENCO will advise you on the process of applying for extra support. The other professionals working with our SENCO will support the decision making process to plan targets on the IEP. The IEP will be written with you and will include how you can support your child at home. Staff meetings within the setting will ensure all staff working with your child know your child’s strengths and needs and how to support them. How are parents involved at Holly House Nursery? How can I be involved? You are involved in identifying needs, information sharing, identifying targets and next steps to focus on at home and in the setting and in reviewing progress towards these targets at IEP review meetings. Your permission will be sought before involving outside agencies. You are welcome to discuss concerns or progress with your child’s key person, or the SENCO at any time. For more information on Leeds’ Special Educational Needs & Disability (SEND) offer, see the following website.